The Asian Games was the perfect event for some teams to make the final adjustments towards this year’s WCH. For fans, it was an amazing opportunity to have a close look at what the continent’s best players had to offer. 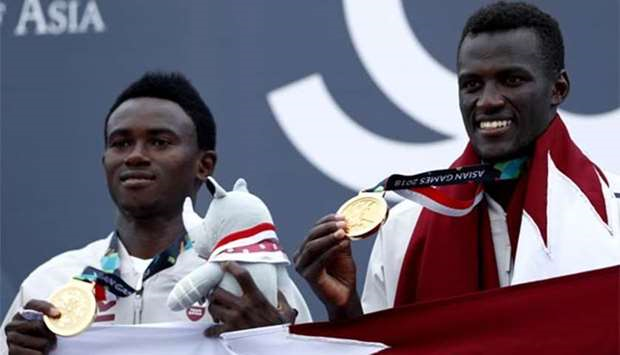 Qatar’s Ahmed Tijan Janko/Cherif Younousse Samba picked up their country’s first Asian Games beach gold with a 26-24, 21-17 win over Indonesia’s Ade Candra Rachmawan/Mohammad Ashfiya. In addition to being the first gold, the hardware marked the first medal of any kind for Qatar in beach volleyball at the Asian Games. Tijan/Younousse, as they are known on the FIVB circuit, finished third at the Vienna Major and at the Doha Four Star and fifth at the Moscow Four Star and Tokyo Three Star in 2018. The pair is currently ranked 10th in the FIVB World Rankings. Candra/Ashfiya boasted five Top 5 finishes on the FIVB World Tour, including a runnerup effort at the Satun One Star and a third-place effort at the Singapore Two Star. The pair is ranked 49th on the world circuit. Meanwhile, Indonesia added two more medals to its previous haul of two silvers (1998, 2002) and two bronzes (1998, 2006) with one of each in 2018. In addition to Rachmawan/Ashfiya’s silver, countrymen Gilang Ramadhan/Danangsyah Pribadi won the bronze with a tiebreak win over China’s Peng Gao/Yang Li. The Indonesians held on for a 21-15, 19-21, 15-6 victory in 50 minutes. The loss means China will go without a medal in beach volleyball for the first time since 1998, ending a streak of five straight Asian Games with hardware: gold (1998, 2006, 2010), silver (2006, 2010, 2014) and bronze (2002, 2014).